Luck has more often than not gone against Trudy Keegan this season. 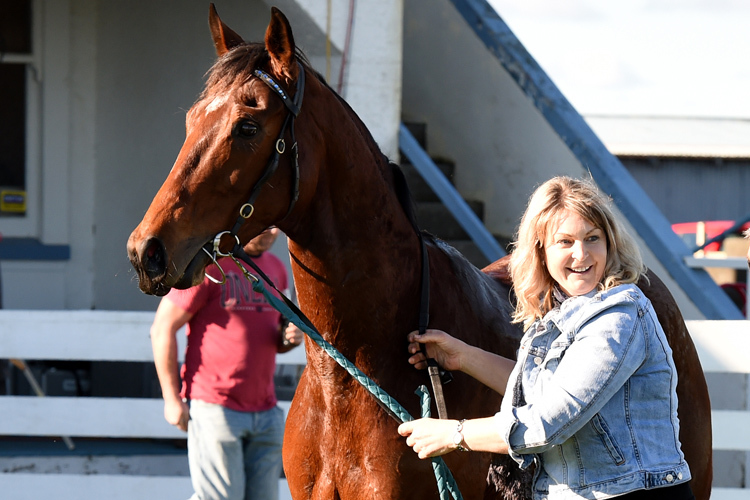 The Stratford trainer has a solitary win on the board and she is hoping a stream of near misses ends at Waverley on Thursday. “We’ve had 10 second placings, it’s been frustrating but it’s better than running last all the time,” Keegan said. One of those runner-up finishes belongs to Midnight Story, who she believes is in the right order to go one better in the Vetfarm Maiden (1400m). “She got dragged back at Wanganui and came home really well,” Keegan said. She will be ridden by Sam Weatherley, who also rides Midnight Poetry in the KL Harvesting Maiden (1200m). The four-year-old finished second two runs back before running seventh at Wanganui. Stablemate Crafty Crim will oppose Midnight Poetry and he is another who will appreciate looser footing. Mikjene is a form contender for the Farewell Eric & Jill Lennox Handicap (1400m) with a pair of seconds from his last four appearances. First cab off the rank at Waverley for the team is the strapping Mister Geronimo in the Norwoods Maiden (2200m). “He’s just so big and he needs to be kept out in the open so he can finish off,” Keegan said.